Looking for a low budget mobile phones priced between Rs 5000 to Rs 7000? Choosing a smartphone in this price bracket can be quiet tricky because almost all of them offer similar features. Upcoming brands like Xiaomi, Huwaei and Micromax are providing tough competition to leading brands like Samsung, Sony and LG. In fact, when it comes to value-for-money, none of the popular brands come close to the specifications or features that Xiaomi or Lenovo offer. Smartphones that run Android and Windows OS smoothly are now available for as low as Rs 5000 – 6000. Android is the most popular operating system and screen-size of 4.5 to 5 inches is popular in this price range. 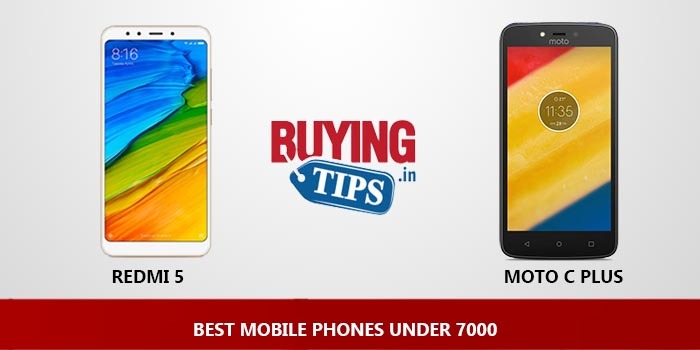 Manufacturers like Motorola, Huwaei, Asus, Xiaomi sell their phones exclusively on online stores like Flipkart. Most of their popular phones are not available in the local market. It’s safe to purchase phones online, almost all online retailers have the ‘Cash On Delivery’ option. So you can pay only after you get your phone delivered to your house or office. Build Quality and Design: The phone comes in a full metal body. The phone looks very premium for 7000 Rs. One of the best looking phones under Rs 7000.It is available in 2 colours : Gold and Black. Display: Sports a 5 inch HD display and it is one of the best displays under Rs 7000, the colours are vibrant and perfect. Software: The snapdragon 435 chipset with 2GB RAM is efficiently fast and doesn’t lag. The Adreno 505 GPU does a good job at gaming, the games can be played without any lag. Although we did notice some minor lag while playing high end games. Doesn’t overheat after excessive use. Runs on Android Marshmallow 6.0.1 with MIUI. Fingerprint sensor: The fingerprint sensor is placed at the back and it is very quick,can unlock the phone within seconds. You can also use fingerprints to unlock certain apps. Storage: 16GB storage with expandable memory upto 128GB and comes with 2GB RAM. The 3GB RAM model comes with 32GB storage and 128 GB expandable storage. Sim Type:It’s a dual sim phone( Hybrid) which supports 4G. Sensors: Supports sensor like gyroscope and compass. Weight: a little heavy due to heavy battery. Display : The phone sports a 5 inch HD display with 294 ppi. Quality wise the phone produces good colours and picture quality. The sunlight legibility is decent as well. Build Quality and Design: Moto C Plus looks very classy, the back comes with the textured finish and the phone feels good to hold. Software: The phone features a Mediatek chipset with 2GB RAM and Mali T720 GPU. Performance wise it excels well in both gaming and functionality. There is no lag with 2GB RAM. It also comes with the latest Android Nougat 7.0 with stock android which is a huge advantage. Camera: The 8MP back camera takes good pictures, however the front camera is average. Battery: The phone comes with huge 4000 mAh and lasts for a whole day and charges fast as well. It also comes with removable battery and supports fast charging. Sim Type: It is a proper dual sim device with a separate micro SD card. Storage :Comes with 16GB internal storage and has 32Gb expandable storage. Value for money: For Rs 7000, this phone is value for money device. Features: Supports USB on to go that helps you transfer files. Speakers: The phone speakers are average, sound is mostly distorted. Front camera: The front camera takes decent pictures, for Rs 7000 you cannot expect much from the phone. Build Quality and Design: The Redmi 4A priced at Rs 6000 is similar to that of Redmi 3S, the build is made up of plastic with a cheap metallic finish , but it does make the phone look classy. Display: Bright 5 inch HD display with good colour reproduction, comes with auto brightness as well. Software: Runs on snapdragon 425 with 2GB RAM, performance wise it is very snappy and lagfree. Also comes with Adreno 308 graphics which can play any game with medium settings. Doesn’t heat even after excessive gaming and supports Android Marshmallow with MIUI 8.0, the interface is smooth and good. Camera: Good camera with 13MP rear and 5MP front, clicks good pictures indoor as well as outdoor. Battery: Good battery life with 3120 mAh, can easily last for more than a day. Feature: The best feature about this is the IR blaster, for a low budget phone this is the best thing to have. It supports USB on to go to transfer the files. Fingerprint sensor : Doesnt come with fingerprint sensor. Display: Infocus Vision 3 is a well designed phone that comes with full size display which is good to wtach movies and play games. It’s a huge 5.7 HD plus full vision display which comes with good colour contrast and colour reproduction. The auto brightness works well and the outdoor visibility is ok.. Build Quality and design: The phone comes with a plastic back panel with metal finish. Although it’s a huge display phone, it does feel comfortable to hold in one hand. Fingerprint sensor : The fingerprint sensor is placed at the back, it is reasonably fast and can unlock some of the preferred apps. Software: The MediaTeK 6737H performs well and is mostly lag free, however the phone becomes slow after a while. The phone comes with Android Nougat 7. Very soon the face ID recognition will be installed with the software update which is a great feature at this price. Camera: 13MP and 5MP dual rear camera takes decent pictures, although not great but decent for the price. Even the front camera takes good pictures. It comes dualfie feature that enables to shoot video from both front and back cameras simultaneously. Gaming: Games like sub way surfer, temple run and some mid end games can be played without any lag. Feature : Support USB On to go which helps you to transfer the files. Battery: The battery life with 400 mAh battery is good, can last for a day with moderate to heavy usage. It doesn’t support fast charging. Performance : It tends to slow down after a while, not great for heavy users. Touch issues : Most of the users are facing some touch issues. RAM management: it comes with only 2GB RAM in which 1.3 GB can be used. Build Quality and Design: This premium looking phone with plastic build looks and feels good to hold. Software: The phone comes with Exynos 3475 Quad core processor and performance wise its mostly fast at times but slows down after sometime. It also comes with 2GB RAM and runs on Android Marshamallow 6.0. Gaming experience is decent. Sim Type: Supports Dual sim (hybrid). Both support 4G and it comes with separate Micro SD card slot. Speakers: The speakers are present at the back, the sound quality is decent for this price range. Brand : If you are brand conscious and you want to buy a simple phone with not much of complications then this is a good phone to buy. Fingerprint sensor: It doesn’t come with fingerprint sensor. Camera: Takes average selfie and low lighting pictures. What’s up in 2018 which one is the best among listed above? Is there any new launching? Sir I want a phone which has storage starting with 32GB to 256GB. I want a phone which has best camera back and in frount. because I have a phone which has camera but not capable in front of light and it gets bad photo because of light. I WANT TO BUY MOBILE WHICH HAS NO HEATING ISSUE PLUS CAMERA QUALITY SHOULD BE GOOD. PLAESE SUGGEST ME ACCORDING TO THIS CRITERIA. @ Ankita: Xiaomi Redmi 4 is agood phone in this price segment, it doesn’t have heating issue. First time trying to buy a Smartphone..Purpose: Internet, Games, Pics and Videos,Apps etc..Meaning, max things I wanna use .. but under 7K only …***Soo greedy looking***..Please help me with a best phone with all features with less negative markings. i could’nt get redmi 3s anywhere, is it now available or not? @Jebastin: It is currently out of stock, it will be available after a while. sir redmi 3S or redmi 2 prime.which is better among this..
@ Visi: Redmi 3S is a better phone. @ Akash Dey: Both the phones are good, what exactly are you looking for? Sir I want to buy a mobile mainly for navigation purpose can u plz tell me which mobile should I buy and what are the key spec to look after while buying such mobile. my budget is around 7-10 k.
@ Akash Dey : If you are looking for a phone with good battery life and camera then Xiaomi Redmi 3S is a good option. @ Akash Dey: Both take decent pictures, we would recommend you to slightly increase your budget and go for Xiaomi Redmi Note 3.
it. Do you allow guest posting on your site ? I can write hi quality posts for you. Which is the Best Selfie Mobile under 7K? Very nice Post. Now I have got rely want………Thanks. redimi 3s kaise khrida jaaye? They are all equally great its more of preference . what do you most often do with your phone? Camera, Gaming or any other activity then just compare the specs there you’re good to go then. Iam confused with the below mentioned smartphones Lenovo P1m Vs Lenovo Vibe K5. Iam totally confused about these phones since i get mixed review about these phone.Both the phones are in the same price range. Iam a moderate user who use internet all 24 hours and not a gamer.I need complete review of these two phones. If redme 3s prime got hang then what to do ? Sir the redmi 3s mobile has a non removable battery…when the battery get damaged what will we do ?? @ Manas: Give it to the nearest service centre located in your area. They will replace the battery. No Redmi’s phone available in U.P nit even in Lucknow. Which phone to buy then? I’m confused between xiomi redmi s3 and redmi 3 and coolpad note 3…which phone is best..
pls tell me… and what difference between redmi 3s and redmi 3 pls fast ans. @ Ashu : Redmi 3S is a good phone, the phone will be available only though flash sales in Mi.com. Check it out. I’m confused between xiomi redmi s3 and swipe elite plus…which phone is best..
@ Sourav : Redmi 3S prime is a better phone Elite Plus. can u please help me …i am totally confused . @ Gaurav: Wait for a while as Redmi 3s will be on sale from August 9th onwards. It sports a 5inch HD display with finger print sensor and comes with 2GB RAM with 16GB ROM. @ Yashank: Specs wise Coolpad Note 3 Lite is the best but performance wise Lenovo Vibe K5 is decent. sir redmi 2prime or infoucs m330 what is best for long time using? .. ..COOLPAD is good but it has some heating issues..so is there any reasons behind it..? i.e.due 2 Heavy games Or internet Or also during running period.. .? So which 1 is best Coolpad or Redmi..!!? Hello sir,I read adv and -ve points of Coolpade and Redmi..bt I m screwed betn. both of them….bcoz one side u said COOLPAD is good but it has some heating issues..so is there any reasons behind it..? As lenovo vibe P1 m is now at 6999/- flipkart. Redmi 2 prime or lenovo vibe p1 m will be a better on every aspects. And please tell why. Except battery. I want to buy one. @ Santhosh Nayak: The only problem in the Coolpad Note 3 Lite is that it tends to heat up after a while. don’t but this, you will waste your money, pathetic camera quality, looks very ordinary Chinese type. Can u suggest good phone at around 8k … tht have all features support online gamin for longer tme as well have virtual reality , fingerprint..
@ Anoop: Specs wise Coolpad Note 3 is a much better phone for the price, the only issue with the phone is that it tends to heat up after a while. Is it the coolpad note 3 lite have a marshmallow update…and is it a all rounder best pgone at 7k ? Sir,i am totaly confus buy coolpad/redme prime2..which was best phone to be buy? Sir,up comeing phone redme 3 how is it? i show redme 3 is good phone can i wait? @ Shobha: Coolpad Note 3 lite with 5 inch screen, fingerprint scanner, 13MP camera with flash and 32 expandable storage is an amazing phone priced a Rs 7000. The only issue with the phone is that it tends to heat up after considerable amount of time. which was best phone to be buy? Sir,I want to purchase a smartphone under 7000rs tellme a good phone in which battery as well as camera quality is good.And i have heard that coolpad dazen3 lite has problems with the battery .plz reply me. @ Pankaj Yadav: We haven’t tested the phone, so cannot comment on it. hiii I want to buy a good phone but I am confused to select one best mobile ..
@ Stg Star: Coolpad Note 3 Lite is a high specd phone priced at Rs 7000. The only issue is that it heats up after considerable amount of time. @ Puneet: There are no phones under 6000 that can play high end games. pls tell does meizu m2 have usb onthego? Which phones camera is best between redmi 2 and meizu m2 u said redmi camera is better but in specifications its mentioned redmi has 8mp primary and meizu m2 has 13 mp so pls tell which is better for camera? i want a good phone 8000 rupees with usb otg support… Good camera processor and ram.. Sir Pls suggest few best phones under my budget..
Sir.. am a game lover. please suggest me which one to buy under rs.7000.. coolpad note 3 lite or infocus m350. plz reply. @ Nidhin : Coolpad Note 3 Lite is a better phone. @ Surya : Most of the phones you suggested can play low- end to mid – end games. If you are really looking for the best lag free gaming phone, than we suggest you slightly increase your budget by Rs 3000. You can buy Xiaomi Redmi Note 3 which can play most of the high end games without any lag. Hope we helped you to choose the best one. @ Mukesh Kumar : Specs wise it is a very good phone for Rs 7000, Comes with decent camera, battery life and finger print sensor, the only issue with the phone is that it heats up after a while. I live in Kolkata and there is just one xiaomi redmi service center nearby..but I heard that the services provided by the centers are very poor..they don’t care about the customers. And I also read in a review that it heats after 4-5 months. Should I buy it.I have to use it atleast 2 years. I leave in a hostel.I need a mobile under 8000…BUT I want 5 inch long screen..what will be best?PLEASE SUGGEST ME………………..
@ Sneha Das: Coolpad Note 3 Lite is a 5 inch phone with good camera and decent battery, However the phone tends to heat up after a certain time. I want to buy micromax canvas juice 2……..is it good?…plz help?? I’m confused between Samsung j2,xiomi redimi 2 and lenovo vibe k5 plus can u suggest me d best one with best battery performance and no lagging or heating issues. @ Rahul : Either go for Samsung J2 or Redmi 2 Prime, Both are good phones. Lenovo Vibe K5 Plus has got come heating issue. @ Pranav Kumar : Coolpad Note 3 Lite looks very stylish and premium. Hi , i want a phone for my father with long battery backup, good camera quality and my budget is 7000 . 4g is not required . please suggest . Sir,Where is nearest service center of maizu m2 in kolkata..plsss help me sir.. Mobile CareMini Market, Martin Burn Road, Opposite Alpana Jewellery House, 72No. Tempo Stand, Basirhat, North 24 Parganas, West Bengal TEL: 9932458000. Sir i want to buy phone in price 7000. I want buy coolpad note 3 lite but amazon not deliver in my city then what i do next ? Can i buy another phone plz suggest me..
Sir can we update redmi prime 2 in lollipop ? @ Atul Gupta : Unfortunately, it cannot be updated to Android Lollipop 5.0 at the moment.However there are reports that Redmi 2 Prime is most likely to get Android Marshmallow 6.0. And also tell me which phone is gud between Coopad n3 lite and Lenevo A6000 plus Reply Fast…. @Nikhil : Coolpad Note 3 Lite can be charged with other chargers. Coolpad Note 3 lite is a better phone then Lenovo A6000 plus mainly because it comes with better features.Comes with good camera, fingerprint sensor and decent battery life. @ Pintu Sahani : Coolpad Note 3 Lite has some issues with heating and you will have to register and buy the phone on every Thursday. If you are in urgent to buy then go for Xiaomi Redmi 2 Prime priced at Rs 6999. Until now we haven’t faced any problem with the phone. Sir I am beying Asus zenfone 2 lesar at price 8000 in flipkart. but iam confused sell I bay are not . Hi, friends my budget is 7000. Who phone i am purchase? March month. I want to buy micromax canvas q345 selfie lens……..is it good?…plz help?? pls tell me, im intrest in this mobile cool pad 3 lite. Some people review. Is heating pblm and it take long time battry charging. Pls sir which phne i want purchase. My budget 7000rs. Im first time go to use android mble. Pls help sir. Hey I’m thinking of taking coopad note 3 lite but some are saying it has fast battery drain. My budget is 7000 plz suggest a Mobile with okay camera, 2gb ram , good charging ,2500mah battery and okay look. @ Sanath : While we were testing the phone, we did notice that the battery drains while you are on 3G or 4G. Other wise it should last for a day. Also the phone tends to heat up after heavy usage. However it performs well when it comes to processor, camera and overall experience. If you still not sure about Coolpad Note 3 Lite, you can go for Xiaomi Redmi 2 Prime it’s a great phone with good battery life and no heating issue. @Rocky, can you tell us more about the display problem that you’re facing? Why don’t you give it to Xiaomi service centre and get it repaired? @ Manoj : Yes it is true that Coolpad Note 3 Lite does take a longer time to charge with 1 amp charger provided with the device. The user interface used by Coolpad is called Cool UI, it did take us a while to get hold of it since it’s bit different compared to MIUI but we got used to it once we stared using the phone for more than a day. Otherwise the phone is packed with great specs like finger print sensor, good display, 2500 mAh battery life and great camera. Do check out our pros and cons. I WANT TO BYE A PHONE UNDER 7000. COOLPAD NOTE 3 LITE OR REDMI 2 PRIME WHICH IS OVERALL BETTER. SUGGIST ME A PHONE WHO DOES NOT HANG AND HAVE GOOD PERFORMENCE WITH GOOD BATTERY LIFE. Plzzz rply me fast if my,budget,is 10000 then which phone do u prefer me the good one…service center must,be in Delhiii…. Sir I want to buy good phn which is good camera quality battery back up and no heating problem in 7k. N the main thing is that phone serivce centre should be in Delhi…. @Tushar Negi, go ahead and buy the Redmi 2 Prime. It has a good camera and we haven’t had any heating issue. Do note that ‘no heating issue’ doesn’t mean that the phone doesn’t get warm once in a while. Almost all phones produce heat, Redmi 2 Prime doesn’t produce excessive heat. Xiaomi has a service centre in Delhi. You can get the MEIZU M2 if you need a 5 inch phone. If 4.7 inch is good enough, you can also buy Redmi Prime 2. Both phones have good cameras for the price. @Nikhil Jain: Both the phones are equally good, but if we had to pick one it would be Redmi 2 Prime as service centres are available in most places now. @Nikhil Jain: Redmi 2 Prime is a very good phone and service centres are available in most of the places. @Vinay: Micromax Xpress is a good phone for gaming, but overall user experience wise we would suggest you go for Redmi 2 Prime. Giv me a suggestion lazer or k3 note? 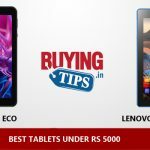 @Akash Das: If you could increase your budget by Rs 2000 then you can buy the latest Lenovo K4 Note (You have to register first and the sale goes on January 27th).The early reports are good about K4 Note, although we haven’t tested the phone. Sir please suggest best camera phone in 7000 and which have better camera meizu m2 or redmi 2 prime? You are saying service centre every time right why are you saying like that wheather we have to think that phone will give more problems or its better if we look at that point also. @Venkatesh: There is no guarantee when it comes to electronic items. Whether it is from Apple, Samsung or some Chinese brand, any electronic product can suffer from manufacturing defects. They also undergo certain amount of wear and tear over a period of time. And with latest smartphones, the chance of dropping a smartphone and cracking the display are high. When any of this happens, it’s always easier to get a phone repaired if there is a service centre nearby. I heard about heat problem in redmi2prime.is it good to buy or not.? @Rahul: We din’t experience any heating issue while testing the phone. Sir , Which are best phone ? Panasonic P55 Novo or Redmi 2 Prime ? @Suvo: We haven’t tested Panasonic P55, Once we test the phone we will let you know. @Simo For your budget, we would suggest you go for Redmi 2 prime. However don’t expect too much from the camera and battery life as it is priced only Rs 7000. If you really want a good battery life and camera, we would suggest you to increase your budget by Rs 3000 and buy Asus Zenfone 2 Laser , This has got the best battery life and camera. sir,tell me about comparision between coolpad dazen 1 and redmi prime 2 which is better phone. @ Aakash: We haven’t tested the phone yet and also the service centre is not available at most places in India. @Bala It’s a 2200 mAh battery. While testing the phone the battery lasted for a whole day with moderate usage. Sir m totaly confuse who’s phons buying meizu or redmi ,? Pls help me for buying meizu phone and I want to detail about meizu brand. I heard that Redmi 2 prime has charging issues …. my friend said , its touch screen do not properly while charging . @Awez Av : We have been using Xiaomi Redmi 2 Prime as our secondary phone for quite some time and we haven’t faced any problem while charging. is there separate SD card slot or the sd card slot should share the 2nd sim cad?? What about the battery..?? Removable or not??? okay…then inside 10k which would be great? @Ishani Amar, what is your budget? Every phone has its own positives and negatives. No phone is perfect. 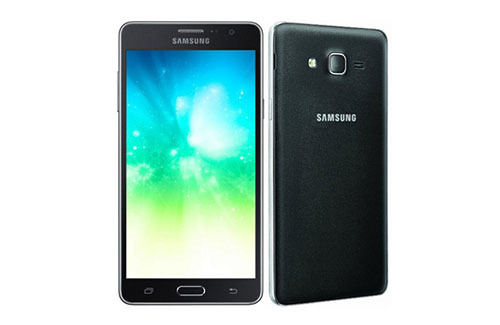 If you are looking for Samsung Galaxy phones, there aren’t any good ones in this price range. You have to increase your budget. I want to buy a smartphone under 7k. having a confusion between Meizu M2 and Redmi Prime 2. which one has better camera quality ?? and i have heard,in Meizu M2, either both sim can be used or 1sim and SD card. Is it ? will both sim slot supports 4g in Meizu M2 as per indian standard ? @Kaushik We have tested both the phones and we feel Meizu M2 is a better phone than Redmi 2 Prime. Meizu M2 comes in a dual stand by (one nano sim slot and other one can be used as micro SD or Nano sim and both sims support 4G). Is it good as per its specifications?? Or should i go for any one of canvas express 2 ,remdi 2 prime,meize m2 , lenovo a6000+?? @Nikhil, we haven’t tested Swipe Elite. However, we have tested Redmi Prime 2, Lenovo A6000 Plus and Meizu M2 and among these the Meizu M2 is a good phone to buy. Compared to other phones Meizu M2 has got a better display, camera and build quality. The only negative would be the service centre, do check if you have any service centre near by. Sir, i want to buy redmi 2 prime. Is it good or very good mobile? @Bahrul, it’s a ‘very good’ phone for the price. The display is very good. Because the Prime has 2GB RAM, you can run most games and apps available in the Play Store. Just make sure there is a service centre in your area. Because if there is no service centre, then it can get difficult to repair the device. Go to the link below and check if there is a service centre. Or else, tell us which city you are from. @apoorv, get the Redmi Prime 2. It’s undoubtedly the better phone. It has a good camera (for the price). We have tested the phone for a long time now. There is no lag and doesn’t hang either. As for service, you have to check if there is a service centre in your area. redmi prime 2 is the best phone… I have been using Redmi prime 2..
Sir, which one is the best..
@Rasif, Meizu M2 is a good phone, but service can be a problem. Also, the user interface is not as user-friendly as Redmi Prime 2. You can’t go wrong with either. Both are good phones. Meizu M2 has better specs. @Shiv Lakhan Gupta, Redmi 2 Prime has a better display and better camera. Lenovo A6000 has a slightly larger display. Battery backup is about the same on both phones. 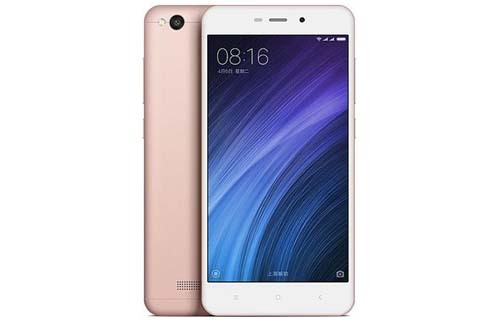 sir,please tell me…which phone i will buy..xiaomi redmi2 prime or lenovo a6000 plus..i am confused…both phones are having best in their built up..
@Bibhuti: Our pick between the two phones would be Xiaomi Redmi 2 Prime (2GB RAM and 16GB Internal storage). The Prime has slightly better build quality, has better battery backup and the display is better than the Lenovo A6000 Plus too. Both take decent pictures from their respective camera. So overall, if you are looking for the best all round phone in this price range, then go for Redmi 2 Prime. @Abhilash: The only drawback of the Xiaomi Redmi 2 Prime is the lack of nearby service centres. If the service centre is available in your place then we don’t think there is any issue with the phone. It has the best display under Rs 7000 price segment. The camera and battery life is also decent. Excellent value for money. 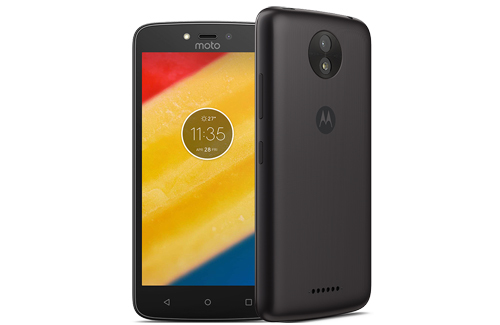 Even the Moto G 3rd Generation, which is priced way higher than the Redmi 2 Prime, has the same processor, storage space and RAM. @Vinit: Redmi 2 Prime is better phone than Lenovo A6000 Plus and Micromax Yu Yuphoria. The display, camera (in day light conditions) and battery backup is better in the Prime. Infocus m2 4g. Advantages &disadvantages . 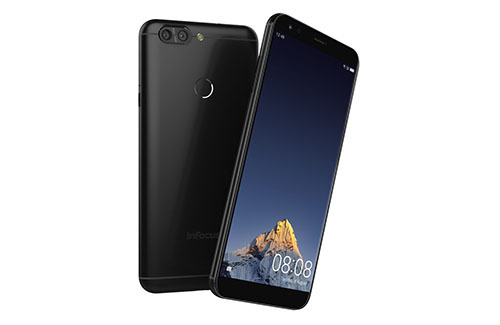 Hi, in my view u should buy infocus 3g or buy the phone which supports 4g in both slots….. infocus 4g support 4g in one slot and u have to uses 2g in other I don’t find advantage in it other wise its ur choice …. see you tube vedios…..